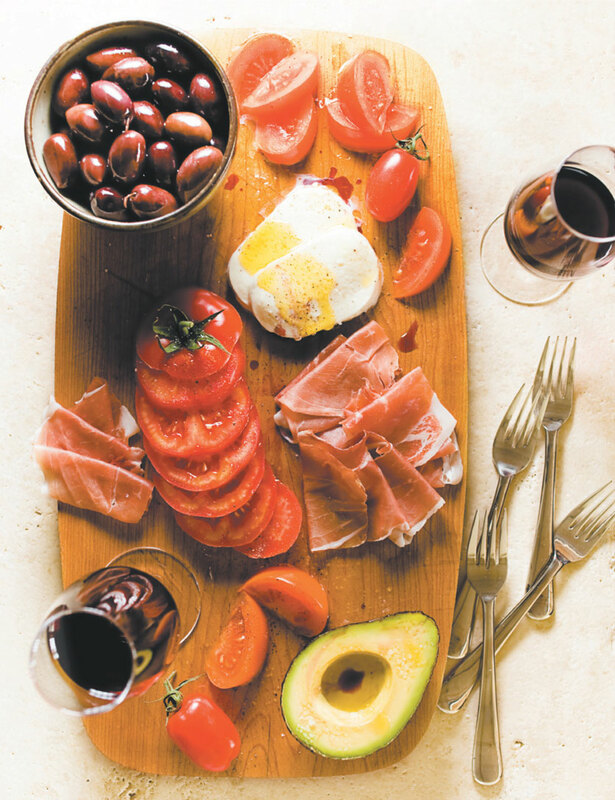 — Place the mozzarina in the centre of a nice serving platter and add tomatoes and avocados all around. Drizzle generously with olive oil and few drops of red wine vinegar. Sprinkle with fleur de sel and pepper. FINALE — Garnish with olives, prosciutto and fresh herbs. Fresh crusty bread is a must with this dish. NOTE — Relaxed and convivial, this tango will thrill your guests!